happy friday! 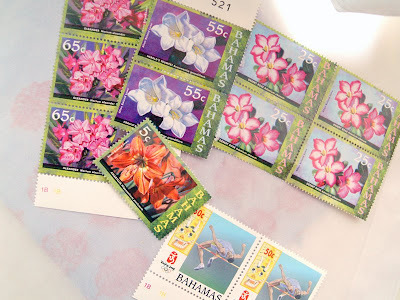 a little bit more show and tell: these are a few bahamian stamps from the collection we picked up at the post office, strangely enough there were no other tourists in the nassau post office when we visited so we felt like bright for thinking to go and pick out stamps. a few more delightful souvenirs from our anniversary trip, i couldn't resist these. 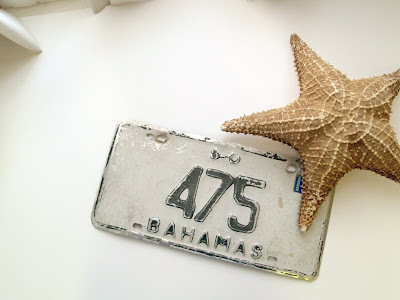 the starfish is 12" in diameter at its widest point. The license plate just seemed quirky and i liked the numbers.